For those of us from America’s more densely populated states, which compared to Montana is every state except Wyoming and Alaska, it’s easy to forget that such a vast, wild and primitive world still exists within our borders. This reality is almost incomprehensible until you’re there and until you experience first hand what quiet really sounds like, what fresh air really smells like and what being surrounded by mile after mile of untouched American wilderness really feels like. Finding yourself in a place like this usually requires a heavy pack on your back, a tent, a sleeping bag and everything else you’d need to survive on your own in the deep wild. 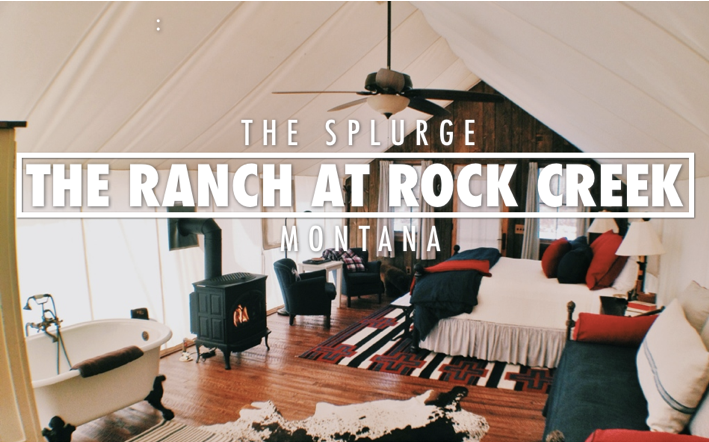 But there is another way to experience Montana that won’t require sleeping on the ground and eating refried beans, a stay at The Ranch at Rock Creek. 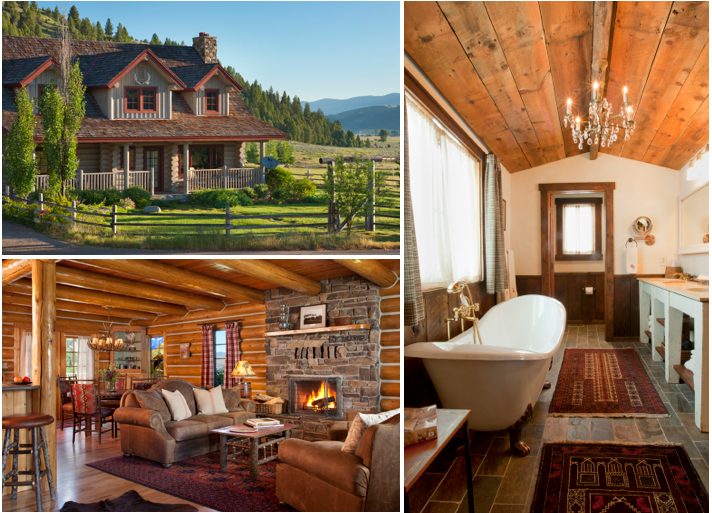 An all-inclusive, luxury western getaway located in southwestern Montana, The Ranch at Rock Creek was designed to feel like a home way, way away from home — and it succeeds. This wilderness oasis offers a level of refinement not common in such unrefined territory. But as refined and luxurious as it is, staying here never feels like you’re being robbed of a true wild west experience, you’re just enhancing it with comfortable accommodations, hearty meals and expert guides. 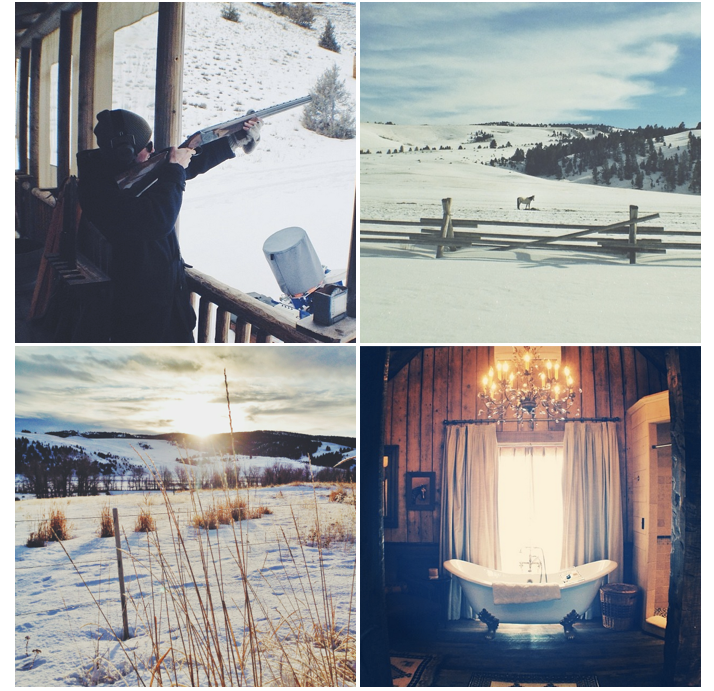 I visited The Ranch at Rock Creek in February, a time when Montana transforms into a place that is both exhilarating and serene. But since Montana and The Ranch at Rock Creek excite all year round, the question therefore becomes not if you should go, but when. 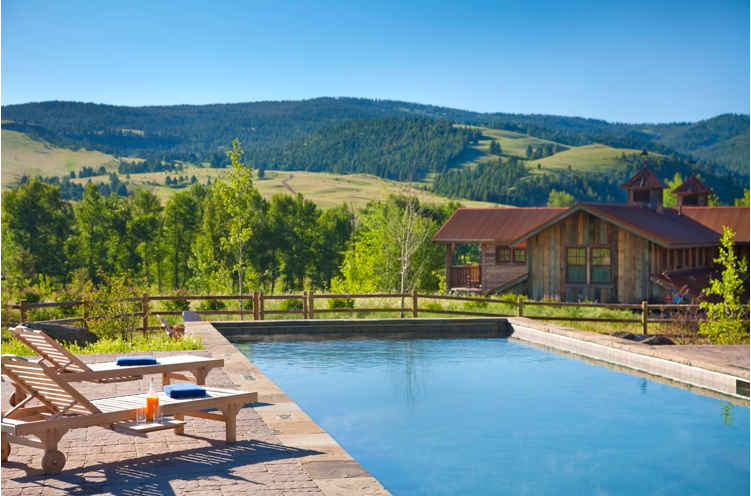 Spanning over 6,600 acres complete with meadows, rolling mountains, alpine lakes and four miles of river frontage, The Ranch is an outdoor lover’s utopia. To prepare for the long list of activities The Ranch has to offer, you’ll first need to visit The Rod & Gun Club (a.k.a. the activity center). 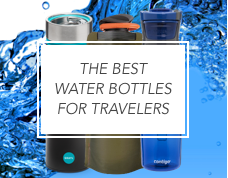 This is where you’ll get geared up with all the top-of-the-line equipment you’ll need and meet up with a highly knowledgeable guide. With said guide by your side, you’ll now be ready to take the property. For experienced and novice anglers alike, The Ranch at Rock Creek is a world-class fly fishing destination with seven species of fish swimming down Rock Creek and five spring-fed ponds stocked with trout. 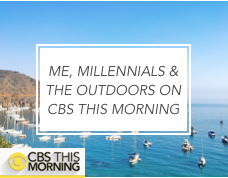 But if that won’t cut it, The Ranch can organize a heli-fishing trip, which involves a helicopter picking you up and flying you to a selection of remote rivers and streams. 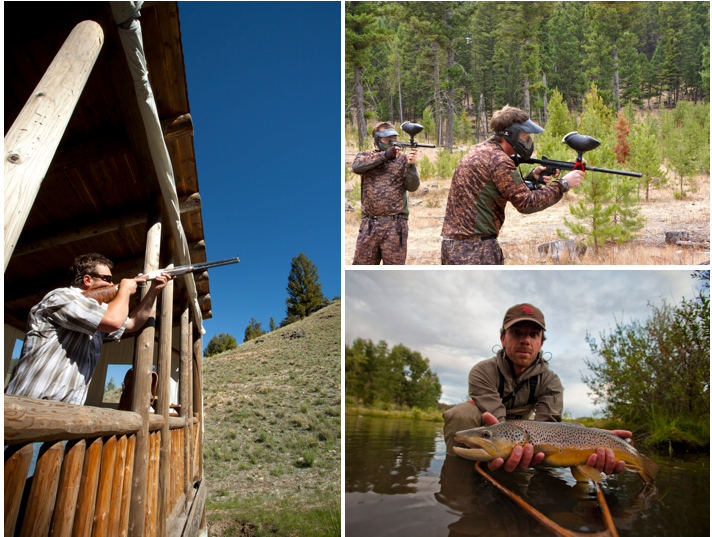 If fishing isn’t your thing, you can try archery, sport clay shooting, rifle, shotgun and pistol shooting, or take on one of the best paintball courses known to man on The Ranch’s varied and wild terrain. 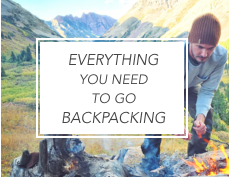 If arrows and bullets aren’t for you, there’s always the endless hours worth of beautiful and secluded horseback riding, hiking and mountain biking trails through wildflower meadows and along grassy ridge lines to be explored. The fun doesn’t stop when winter rolls around. In addition to shooting, paintball, archery and horseback riding, the snow brings with it the ability to snowshoe, cross-country ski, ice skate and snowmobile. 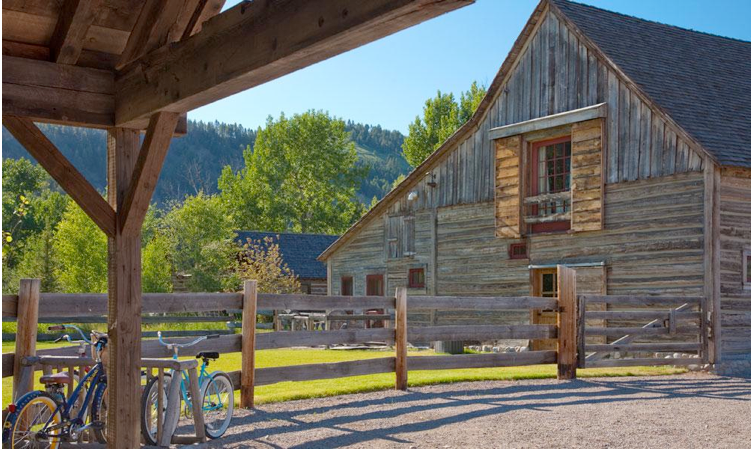 Getting around the property: During spring, summer and fall, all guests are given a mountain bike upon arrival and can bike (or walk) wherever they need to go. At night, if you’re tired after a long day exploring, and during winter, staff members are always available to pick you up and drop you off in one of The Ranch’s SUVs. 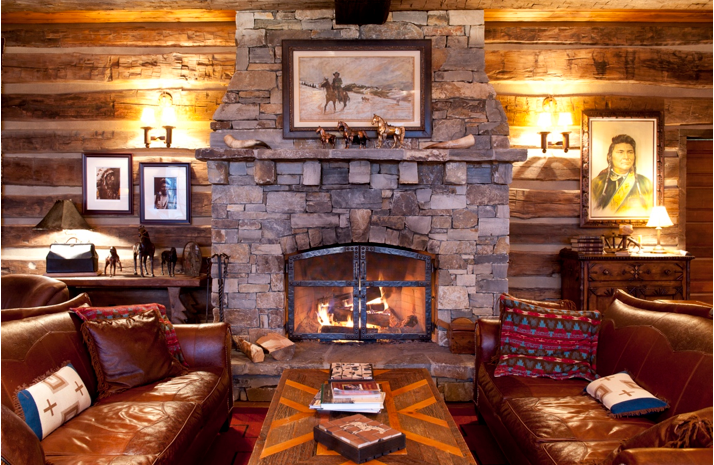 This may sound crazy, but you will want to spend some time inside during your stay at The Ranch at Rock Creek. 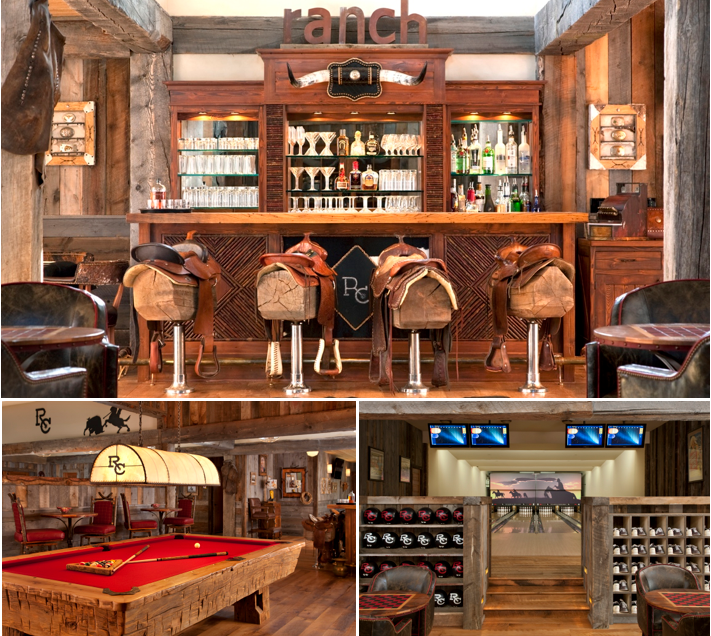 Luckily, The Ranch planned for these moments and designed some seriously relaxing, cozy and fun spaces to hang out in. For relaxing, there’s the Granite Spa which’ll replenish what the Montana elements have taken out of you. For getting cozy, there’s the Great Room, a perfect place for a pre-dinner drink with its rustic bar, comfortable leather sofas and crackling fire. And then there’s the Silver Dollar Saloon, The Ranch’s nighttime fun zone complete with bar, movie theater, pool tables, a four lane bowling alley and a karaoke system (I did jam out to some classic rock after a few drinks). 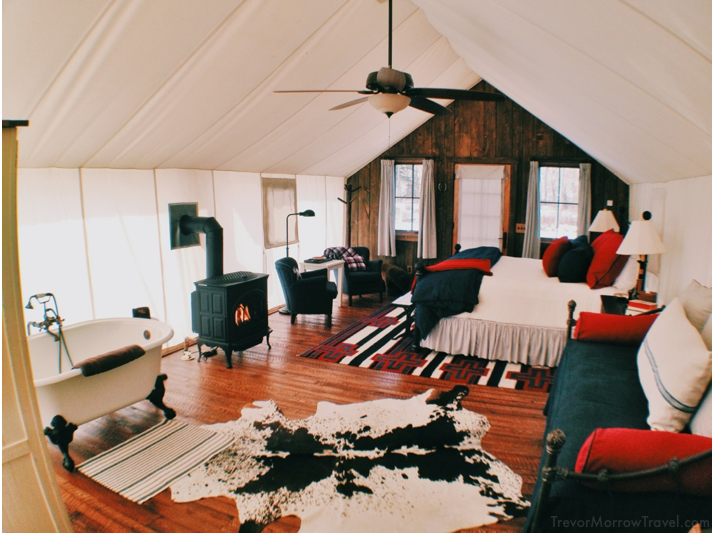 This is glamping at its finest. 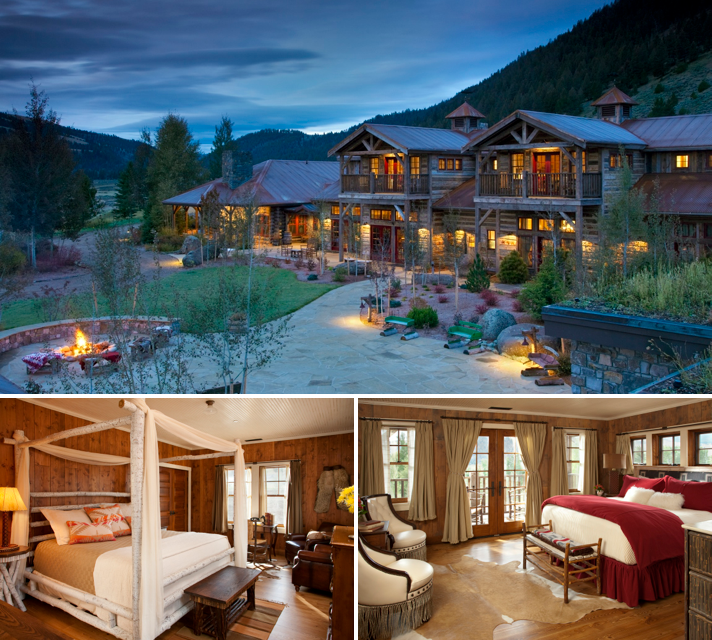 Although other available accommodations are impressive in their own right (see Cabins and Guest Rooms below) it’d be hard to visit The Ranch at Rock Creek and not stay in one of their ten luxury canvas cabins. 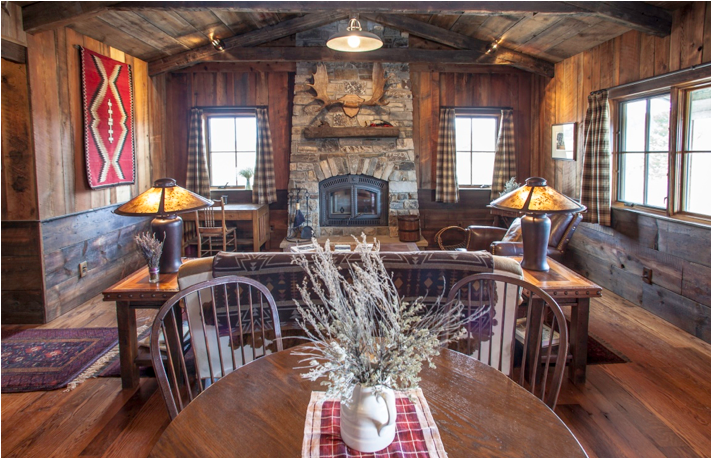 If it’s romance that’s brought you to The Ranch, nothing beats the secluded Trapper Cabin. 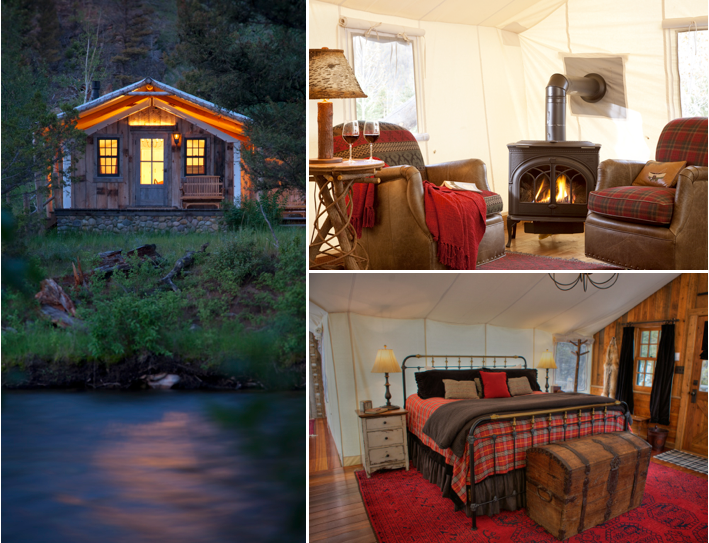 Part canvas tent and part cabin, Trapper is situated just a few steps from Rock Creek and features a spacious bathroom, gas fireplace and a large front porch with an outdoor cedar soaking tub. Ideal for for two couples traveling together, the Sweet Grass Tent is sprawling and features a central cabin structure which houses a sitting room and kitchenette. In canvas tent wings to the left and right of the central room are spacious master bedrooms, each with a gas fireplace and claw foot tub. For couples traveling on their own or for friends willing to share, the four Classic Canvas Cabins offer full bathrooms, gas fireplaces, pull-out sofa beds and screened-in front porches facing Rock Creek. Lastly, perfect for families, the four Family Canvas Cabins feature two rooms separated by a curtain (one with a king bed and the other with two twins), a full bathroom, reading nook, gas fireplace and screened-in front porch. All of the Canvas Cabins (with the exception of Trapper Cabin) are centrally located near the Blue Canteen and the Rod & Gun Club. Good to know: Trapper Cabin and Sweet Grass Tent are the only two tents open all year round (both have radiant floor heating). 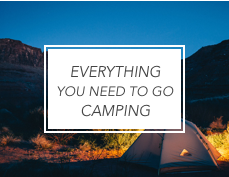 So if you stay during the winter, know that your canvas tent selection will be limited. 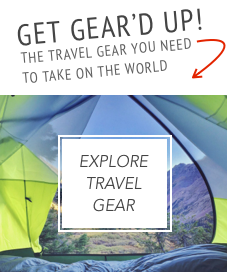 Cost: Tents range from $850-$2,100 per night during low season and $950-$2,500 per night during peak season. 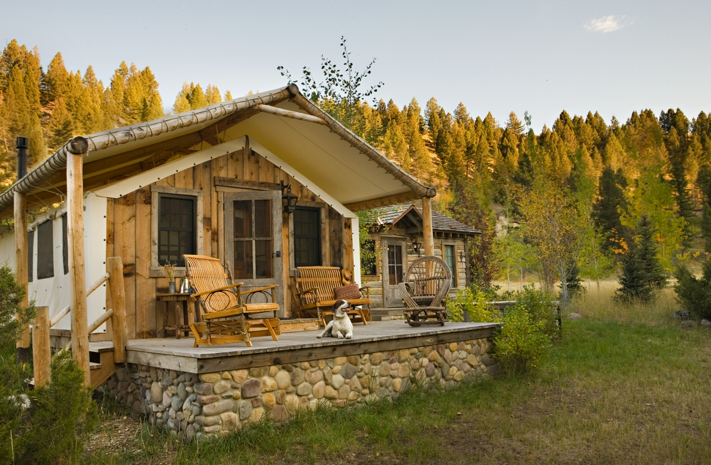 The Ranch at Rock Creek offers eight unique private cabins which can accommodate anywhere from two people (the incredibly romantic Bluebird) to 15 people (by combining the Historic Barn’s three separate accommodations). 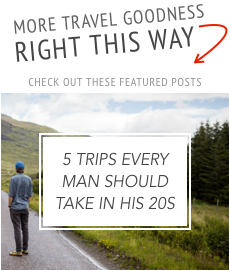 If you’re visiting with a group, like a bachelor party, family reunion or a multi-couple getaway where you want to all be together, renting a cabin is the way to go. Since every cabin is unique, I’d recommend calling The Ranch at Rock Creek to explain your needs and the helpful reservations staff will be able to tell you exactly which cabin will be right for you. Cost: Cabins range from $2,200-$6,200 per night during off season to $2,600-$7,200 per night during peak season. Located within the Granite Lodge (home to the Dinning Room, the Great Room, the Granite Spa and the Silver Dollar Saloon) are nine guest rooms. With two guest rooms on the first floor (each with access to the Granite Lodge’s terrace) and seven rooms on the second floor (two with private balconies), these rooms will put you at the center of the action. These rooms are also conveniently located near The Ranch’s pool and hot tub, which although small and intentionally not designed to be a focal point of the property, is a nice place to relax. Cost: All guest rooms will cost you $850 per night during off season and $950 during peak season. 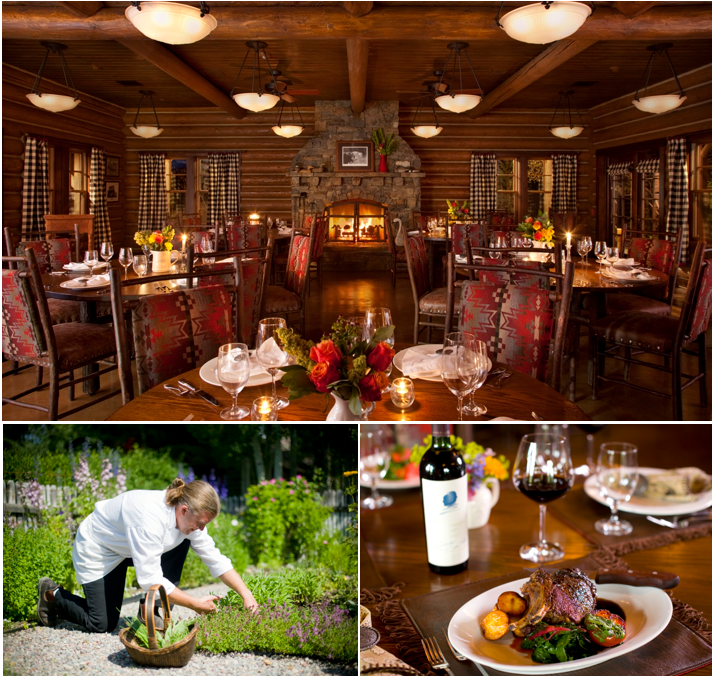 Helmed by Chef Josh Drage, the Dining Room at the Granite Lodge serves up breakfast, lunch and dinner every day. In addition to flown-in fresh seafood (I had the best mussels I’ve ever tasted from British Columbia), the carefully crafted menu features locally sourced meats like Montana-raised beef, lamb and chicken, as well as local dairy products and organic produce. Creating the menu was a balancing act for Chef Drage as the venue and environment call for food that is gourmet yet hearty and authentic. The outcome is what can most simply be described as upscale ranch food — food that is approachable and relatable yet still incredibly creative and sometimes surprising. Menu items during my stay ranged from meatloaf and potatoes (always a favorite), to braised bison in a puttanesca sauce, to dungeness crab in an avocado mousse. Whatever you do, make sure to leave room for desserts like cidar doughnuts with a side of chocolate créme dipping sauce and apple crisp with homemade vanilla ice cream. The Dining Room’s atmosphere reflects the food in that it is refined yet unpretentious. Although you’ll want to clean up after your day spent getting dirty, boots (cowboy boots if you’re in the spirit), jeans and an oxford shirt (even a flannel one) are all you’ll need to fit in at dinner. Ladies, you’re a good judge of what to wear so I won’t offer you any assistance (I’m not qualified). Tip: Don’t leave without trying the lemon ricotta blueberry pancakes with huckleberry syrup and a side of elk sausage for breakfast. The pancakes are perfect with a slightly crispy outside and a thick and fluffy inside. 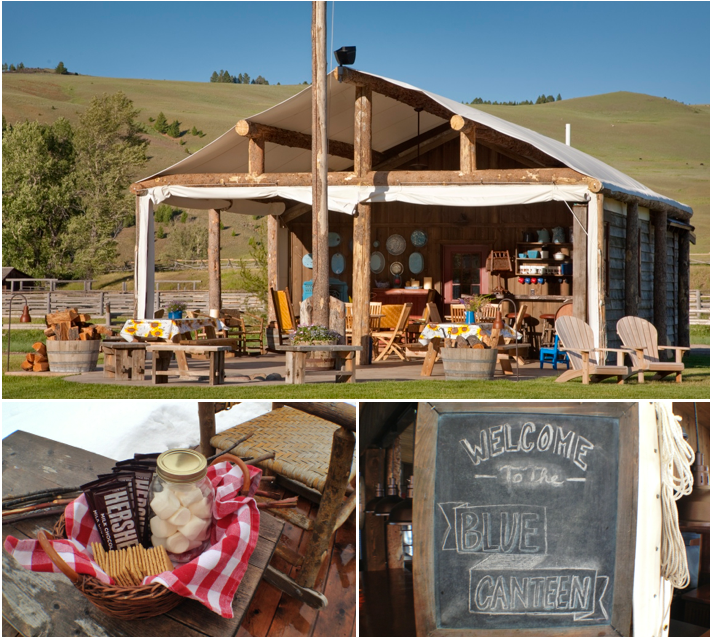 Located across Rock Creek from the Granite Lodge and near the canvas cabins and Rod & Gun Club, The Blue Canteen is The Ranch’s other place to get your grub. In the morning, stop by this laid-back log and canvas outpost for a light breakfast of coffee, fresh pastries, fruit, granola and juice before heading up to the Granite Lodge for something more substantial. At lunch, drop in a pick up something to hold you over until dinner, like a bison burger with white cheddar and bacon, fresh Alaskan salmon, or a sausage all straight from the grill. And don’t forget a local craft beer from the nearby Philipsburg Brewery to wash it down. Finally, when the Big Sky sun begins to set, swing by for snacks and happy hour while you kick back, recap your day and watch the stars. During the winter months (like during my stay in February), The Blue Canteen is the perfect spot to get warm with a spiked hot chocolate and sit around the outside fire pit where a perfectly arranged basket of s’mores materials will be waiting for you. Remember: The Ranch at Rock Creek is all inclusive. That of course means that breakfast, lunch and dinner at the Granite Lodge and the Blue Canteen are included. Not only that, all drinks and wine from The Ranch wine list during meals, and at the Silver Dollar Saloon are included too. With a population of about 930 people, the phrase “small town America” doesn’t do Philipsburg justice. For those visiting from one of this country’s large cities (like me) or really even any large town, Philipsburg is a slice of America usually only seen in movies or heard about being ruined by big business infiltration. Neither of those things are true of Philipsburg — it is real (not a movie set) and small businesses are alive and well (I didn’t see a single chain store on my entire trip). Located about 20 minutes by car from The Ranch at Rock Creek, Philipsburg is an authentic 19th century mining town with a postcard-perfect, all-American main street lined with small businesses, American flags waving from the light posts and one four-way blinking red stop light. Exploring the town doesn’t take long, so make sure to stop by and support the local economy. 1) Philipsburg Brewing Company – this bright, compact and lively brew pub is the perfect spot to taste great local beer with the locals. When I walked inside for a drink, a musician was playing a banjo and singing a song about his dislike for Wal Mart and support of small business. Clearly he was in the right place. 2) The Sweet Palace – a few doors up Broadway Street (Philipsburg’s main street), this deceivingly large candy store is filled with everything you could possibly want to satisfy your sweet tooth, including an impressive selection of homemade fudge (make sure to buy some to bring back to The Ranch with you). 3) Stuff and Such Antiques – back down Broadway Street you’ll find this small antique store which sells old baseball bats, vintage posters, jewelry, furniture and countless other knick knacks well worth perusing. 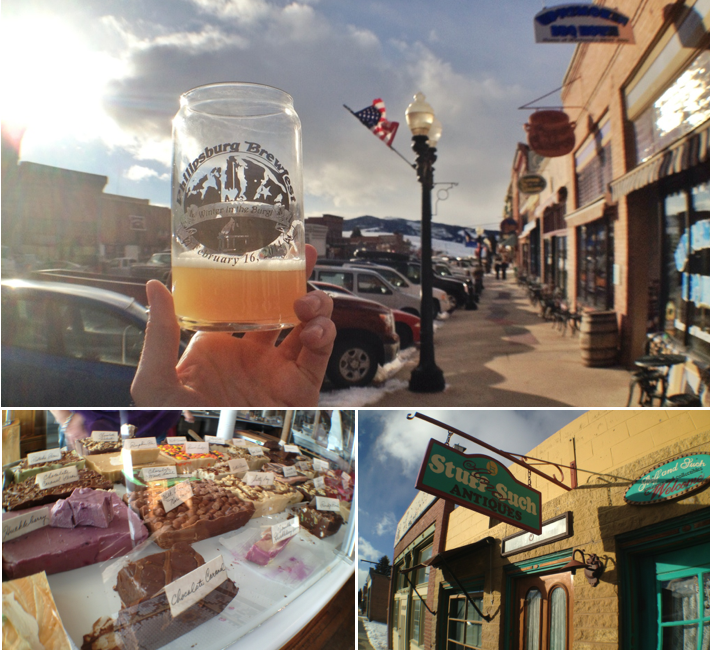 More Info: I was lucky enough to be in Philipsburg during the 2nd Annual Philipsburg Brew Fest (hence the photo above of me walking down the street with a beer) which brought together 20 Montana-based brewers in the town’s old fire house. It was all I could ever ask for. 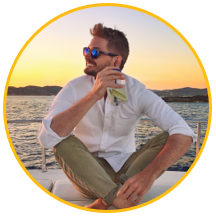 If you’d like to see what’s happening in Philipsburg during your trip, click right here. Two upcoming events that caught my eye: Waffle Wednesday (where proceeds go to keep Philipsburg dressed with flags and flowers) and the Pburg Annual BBQ Challenge (where proceeds benefit local charities and the local food bank). AMERICA! Located 30-40 minutes by car from The Ranch at Rock Creek, Discovery Ski Area is the antithesis of mega ski resorts. 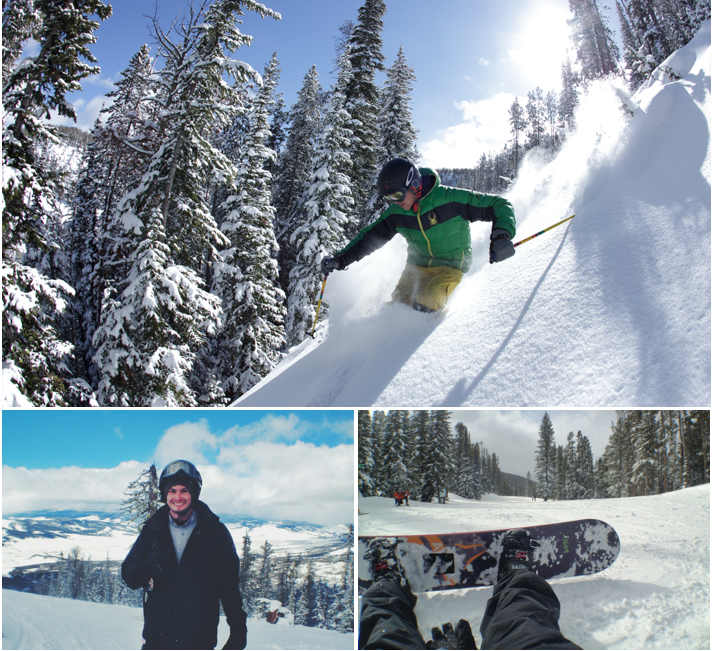 This family-owned and operated mountain is a true locals only and in-the-know kind of place. There’s no big village of shops and restaurants here, just a gravel parking lot and a laid-back lodge at the base of the mountain where skiers and boarders overflow onto the deck to soak up the sun and order food from the outdoor grill. On the mountain, there’s something for everyone: blues and greens on the mountain’s frontside and notoriously steep and deep double black diamonds on the backside. I was at Discovery over President’s Day weekend and I didn’t wait in a lift line for more than two minutes and had many runs without a single person in front of me. And that was a holiday weekend — imagine what it’s like on a regular weekend, or better yet, on a weekday! The Ranch at Rock Creek is open 365 days a year. 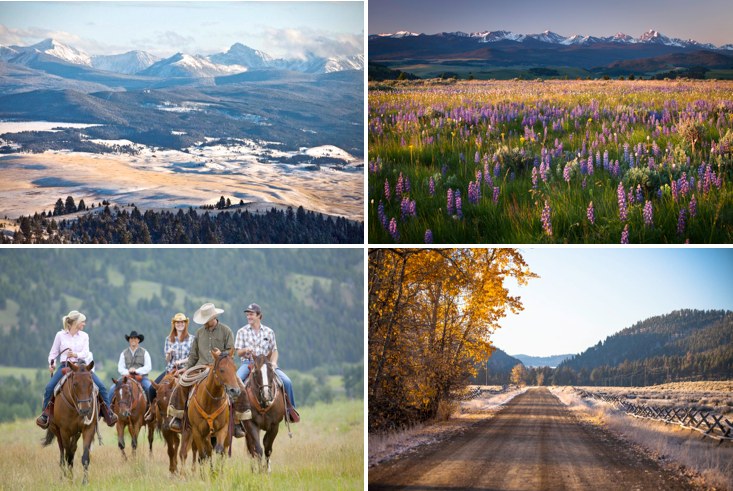 And with Montana’s ability to make jaws drop during any month, it can be difficult to choose a time to visit. But if I had to choose, I’d want to have a distinctly summer or distinctly winter experience. 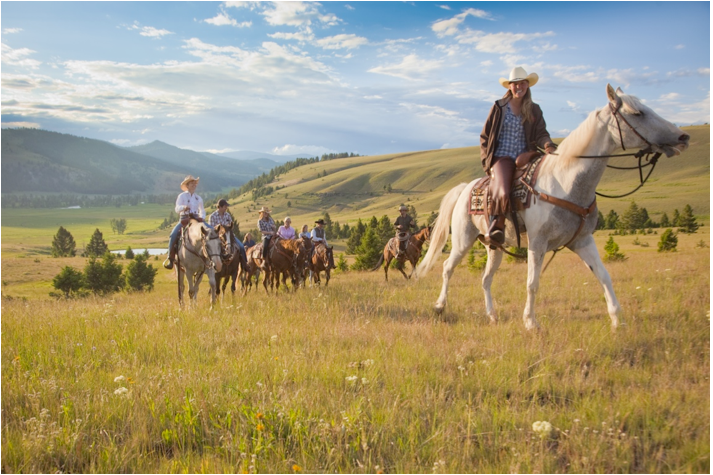 If you’re looking for a classic summer experience but with fewer guests on the property, September is a perfect month to visit The Ranch. If it’s peace and quiet you seek, it’s not uncommon to have The Ranch mostly to yourself during this time of the year (except at the end of December when The Ranch is busy with holiday travelers). Plus, visiting in the winter makes for an original alternative to a traditional, big ski resort vacation. Not only will you be able to ski (the dates above indicate the operating season of the nearby Discovery Ski Area), you’ll also be able to take part in all The Ranch’s winter activities. Like Missoula, Butte Airport is also about two hours from The Ranch at Rock Creek but offers fewer flight options. Getting to Butte will require a layover in Salt Lake City and a connecting flight on Delta operated by SkyWest. 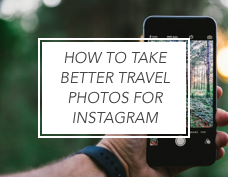 1) Rent a car and drive yourself. However, you really won’t need a car once at The Ranch. If you’d like to go into Philipsburg or to Discovery Ski Area, The Ranch staff will be able to take you. 2) Get picked up. The Ranch can pick you up and drop you off at surrounding airports ($225 per car, each way from/to Missoula and Butte). 3) Helicopter. Fancy getting to The Ranch a bit quicker and arriving in presidential style? Just ask The Ranch to organize a helicopter pick up from your airport of choice. 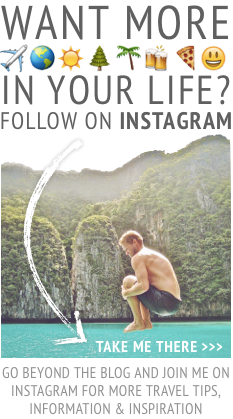 For more of my personal photos from The Ranch at Rock Creek, check out Trevor Morrow Travel on Instagram. Photo Credit: Top photo by Trevor Morrow. The Ranch at Rock Creek photos provided by The Ranch at Rock Creek. The Blue Canteen (bottom two photos), Philipsburg and Discovery Ski Area (bottom two photos) by Trevor Morrow. Disclaimer: I was a guest of The Ranch at Rock Creek. All thoughts and opinions are entirely my own. I couldn’t shoot holes in this place even if I tried. This ranch looks awesome but it’s way out of my price range. Hey Steve. 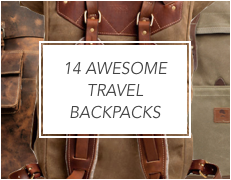 Yeah this one is a splurge and definitely doesn’t come cheap — but it’s worth every penny. Hey Pete. Thanks. And yeah I’m right there with you…this is one of those that you really have to save up for.